It's trouble for the humble music reviewer when a band likens itself to nothing in recent memory. The closest thing on the map is probably Cul De Sac, and those guys are pretty much off the map to begin with. These people don't even have the common decency to pigeonhole themselves into something as vague as "post-rock"! And with members hailing from Neurosis, Yellow Swans, and M. Ward, you can't even categorize them on origins, as Slint-based or Pumpkins-based bands can be. Of course, in the end, no one really cares what box they check under "genre" - because their music is awesome, categorized or not. The first two tracks are relatively easygoing, letting you into their weird, mystical little world with a little hand-holding. "Belgian Wake-Up Drill" tricks you into thinking it's like that too, but just when you think you're listening to Colleen, Grails headbutts you in the kneecaps. The laid-back Cuban stylings of "Smokey Room" soothe your aching joints, though. The rest of the album is just as solid as the first half, and the undefinable antics of the remaining tracks are both entertaining and compelling. I found this album very easy to like and surprisingly easy to listen to considering how variable and unorthodox the sound is. Several times I've listened through the whole thing without realizing it, but not because it's wallpaper music, but because it's easy to get lost in, like Charalambides and other mystical-type music. I really think people should give this a shot. Furthermore, they're now releasing their new album on Temporary Residence, easily one of the best labels out there, so you know they have good taste. 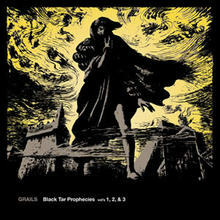 Here's "Belgian Wake-Up Drill," and "Erosion Blues," by Grails. These people don't even have the common decency to pigeonhole themselves into something as vague as "post-rock". 1Every time I see blogs as good as this I KNOW I should stop surfing and start working on mine! Im way too far from these types of music. But still find them nice to listen. That is scary to watch. I like this film so much. Ambien works as a relaxant and sedative allows the patient to easily fall off and go to sleep when he or she has trouble falling asleep with the natural - or is interrupted, and sleep disorder, a disorder that causes a person to wake up several times during the night without any apparent cause!